Grinding peppercorns and spices can be a pleasantly therapeutic activity. We believe you should go one further and do it in style. 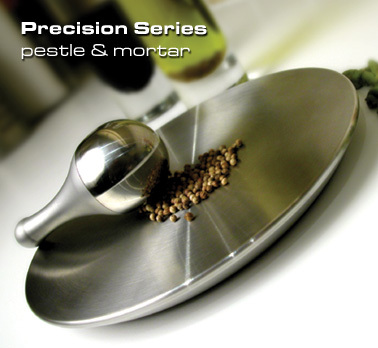 Pestle & mortars come in all shapes and sizes. Beautifully machined from 316-grade stainless steel, it’s almost too good to use.